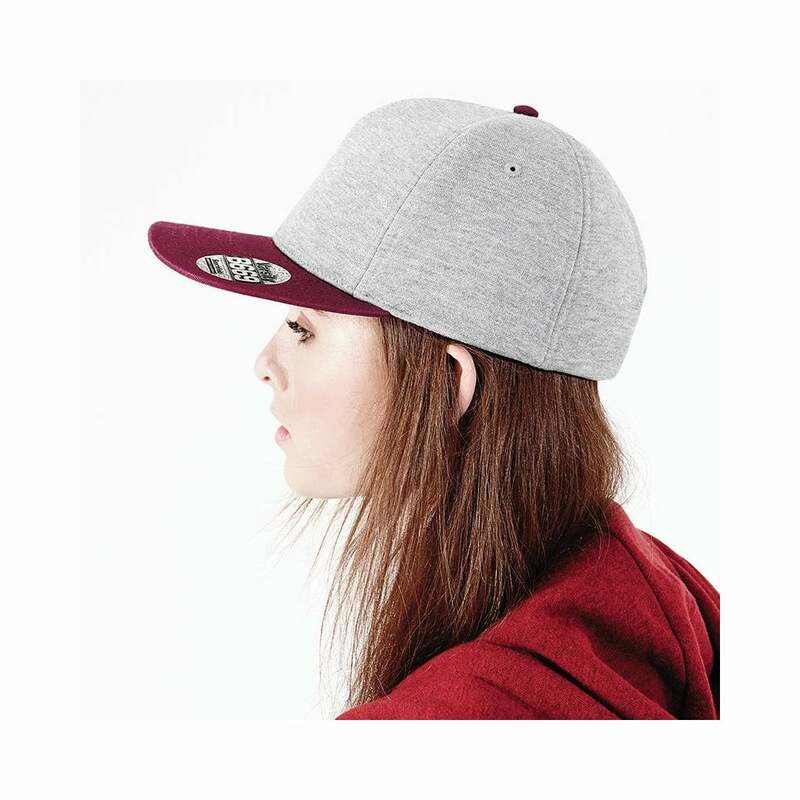 Beechfield Headwear Varsity snap back A very popular cap among our younger customers both male and female. This varsity cap is made from 75% polyester and 25% cotton brushed jersey crown. This cap has a flat peak and a retro style snap back size adjuster. This cap is available in 4 colours the crown in all of them is heather and the peaks are contrasting.